If a little birdie hadn’t already mentioned it, it was our birthday at the beginning of this month and like every annual milestone, it’s forced us to reflect on the year that’s just passed us by – celebrate the highs, learn from the not-so-highs and move forward with your new-found wisdom and vigour. As the saying goes, time flies when you’re having fun. And what fun we’ve had, along with an impressive expansion of the team; a company rebrand; launched our sister compliance company Apricity; multiple exam passes and a few big academic milestones to celebrate too. The team has grown ten-fold this last year – mainly in our paraplanning department (due to the success of our graduate training scheme) – but in more recent months, we’ve extended our focus across other departments and introduced a number of new support job roles outside of our core business. Building more support capacity for our paraplanners, and business as a whole, makes us much more efficient in how we operate and means that individuals can own their expertise and hone in their own skills. Since June 2017, we’ve welcomed an Office Manager, a Marketing & Communications Assistant and a Training Coordinator, as well as a fully qualified Paraplanner, three new Technical Researchers and eight new graduate paraplanners. Phew! Our most recent recruits will be featured in some upcoming blogs but in the meantime, you can familiarise yourself with the newest faces on our team page. Kate joined us via our graduate training programme, The Grad Scheme, back in 2015 having completed her degree in Zoology and with a keen love of maths! Since she embarked on her career with us, she’s shown great enthusiasm and passion for both her work and studies and earnt herself her Level 4 Diploma earlier this year. Colleague and fellow graduate, Rachael joined the team almost a year later in 2016 and has proved her tenacious nature over the last 20 months to thrive in her exams whilst maintaining her standards in her day job too. She too completed her Level 4 Diploma last month and we couldn’t be prouder of how much they’ve both grown in experience, knowledge and character since joining us. And the exciting news doesn’t stop there. Grant joined us as our first ever grad via our graduate training programme, way back in 2013 and he’s inspired the team every day since. During his time with us, he’s successfully completed both his Level 4 and Advanced Diploma and now with five years’ experience, has achieved his ultimate goal – gaining Chartered status. His commitment to the company has always been outstanding, having volunteered for 2 office moves and has remained a solid company ambassador during our recent growth. He’s well respected by all within the team, is a world-class paraplanner and above all else, a wonderful role model to others. It’s outstanding the strength of character he has shown since starting with us, watching him grow into a real inspiration to the rest of the team is very humbling and we feel delighted to have played a part in his story. With a whole load of investment going into the team – both in terms of additional capacity, their learning and development and retaining their engagement – we were absolutely delighted to have exceeded our overall annual target and had our first year of 12 consecutive months above target too. Ninth birthdays may not be your usual iconic birthdays but for us, it’s been extraordinary. So, with all of that in mind, we did what we do best…. celebrate! 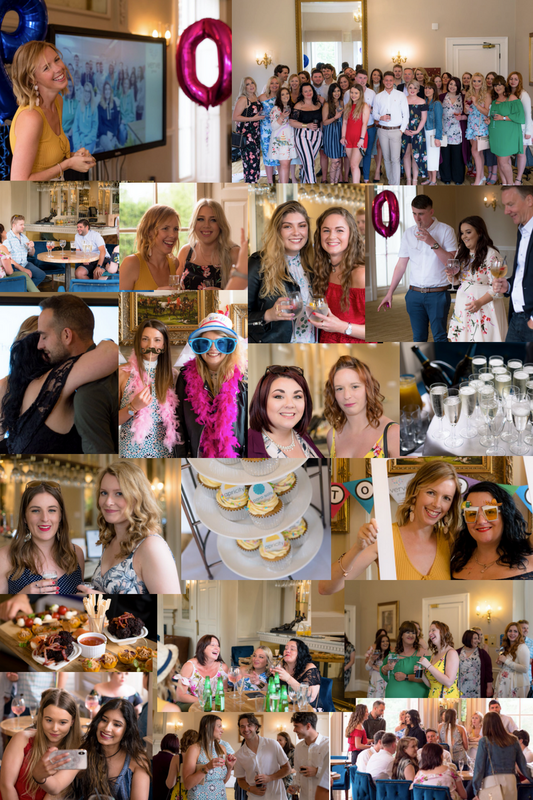 We changed proceedings this year (simply because there’s too many of us to go on a bar-crawl around town) and held our first Summer Soiree for the team and we ate, we drank and we danced – even the sun made an appearance. There’s been long days and countless late nights so when you work hard, it’s important to play hard too when you get the chance. Practicing what we preach, we let our hair down and got to know the latest round of newbies. Cathi addressed the team with an abundance of gratitude for all the hard work that went into making last year the success it was and talked through the vision for the year ahead. That included some ambitious targets, plans to improve our client engagement and some exciting new developments across Para-Sols and our sister compliance company, Apricity. More to come on that exciting development soon – it’s a good one, we promise…. 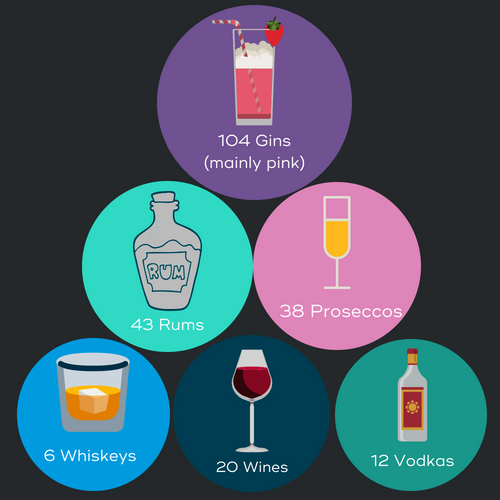 We know how to party here at Para-Sols – here is a fun little infographic showing exactly what was consumed at our Summer Soirée!